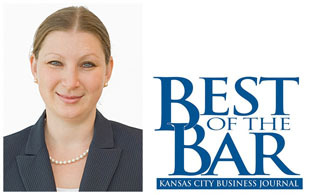 Business Immigration Attorney, Mira Mdivani, was again named as Kansas City Business Journal’s 2016 Best of the Bar. Mira is honored to have received such distinction each year since 2010. Each year, lawyers are asked to vote for their metro-area peers who they consider the top attorneys in Kansas City – Colleagues from within and outside their firms. No one could make the list based solely on votes from others at the same firm. The honorees represent a variety of practice areas and firms of all sizes.Only six attorneys have been recognized every year as Best of the Bar.